The truth is, some gamers just want to play their single-player games and be left alone, but how to do that can pose a lot of difficulties at some point, especially if you can’t find your way around the gaming console. If you’re one of those gamers, then here’s how you can access all the options which will allow you to conceal almost everything about you on PSN. All other privacy settings have to be done from the PS4‘s settings menu, which you can access both from the toolbox icon on the main menu (it’s in the Account Management submenu), or from the ellipsis icon next to the status option. Now, once you get into your privacy options, you’ll find all of the other items you can hide from the rest of the world. 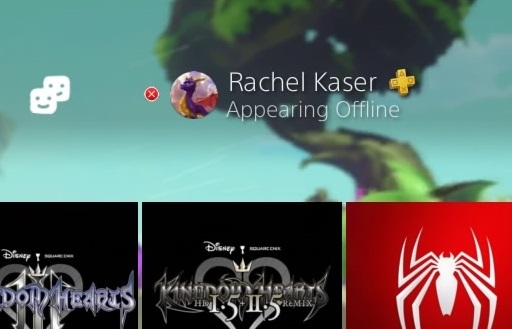 These are separated into three submenus: games, friends, and personal info. In each menu, you’ll find various options which allow you to adjust who can see your activity, send you messages, etc. In Personal Info, you can protect yourself from unfamiliar messages, and control who can find you by your real name. This can be especially important for those who want to protect their online anonymity. While it’s not as common anymore, swatting is still a potential hazard, as is stalking and general invasion of privacy. I would advise anyone to keep their real name under the PSN’s figurative lock and key. The “Mobile Availability” option controls if you’re visible in the PlayStation app, which is separate from your PSN status that you can adjust on your profile. It should be noted that it’s not just shy or private who should know about these options. While it’s (again) not exceptionally common, malicious attackers have, in the past, been able to brick a PS4 via message. Knowing where to find options like these can help you protect yourself in the event such an attack happens again. For clarity, “Friend Requests” and “Team Invitations” control who can send you requests of some type. “Friends,” and the two list options control who can see your information. “Players Who Can Follow You” is pretty self-explanatory, and “Players You May Know” controls if other players can see you in the eponymous section. In the Gaming/Media menu, you’ll find options to conceal your achievements and game-playing activity from everyone, as I have done. There’s one option here you might not know what to do with ‘Hidden Games’. This option allows you to conceal a particular game you’re playing so that no one will be able to know you’re playing that game or be able to see it in your trophy list. While it might not be immensely helpful to the average user, it can be useful if, for example, you’re playing a single-player game with a multiplayer component and you don’t want people bothering you to play multiplayer. It should be noted that all but one of these options allow you to select “No One.” The only one which doesn’t is “Players Who Can Follow You,” which only allows you to restrict it to Friends or Anyone. But if you’ve already selected “No One” in the friend requests option, then this won’t be an issue. Knowing and having control of your options is instrumental in protecting yourself online anyway, but it can be especially important for the often-younger gamers who use these consoles. So make sure you go through all of these yourself at least once when you get a new PS4.